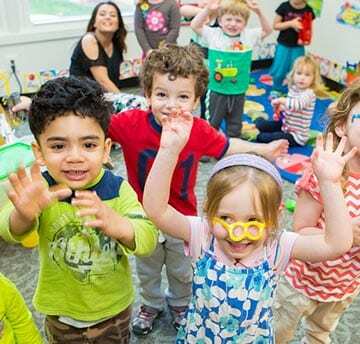 Merritt Academy’s Preschool program fosters children’s natural curiosity and enthusiasm through imaginative play, creative projects and academic activities that engage and stimulate children’s learning. A variety of weekly activities led by specialists add to enriching daily classroom experiences. Theme-based curricula capture your child’s imagination through introduction of a wide range of topics. We provide a challenging academic program to all our students. We emphasize values throughout our school to help build character in all our students. We commit to serve every family earning trust through our responsiveness, flexibility, and support. Merritt Academy is a place that recognizes the abilities of children and targets instruction to successfully grow and develop those talents. Merritt Academy’s theme-based curriculum captures student’s imagination to focus on core academics while specialty classes introduce experiments, collaboration and sense of wonder about how the world works. Hallmarks are carefully coordinated to enrich our curriculum with a level of interactive learning that encourages excitement and participation. Students, teachers and parents regularly look forward to many of Merritt’s hallmarks as annual traditions. We are constantly discovering new ways to use our 7 acre campus as an extended classroom. This adds an unparalleled layer to the academic experience. At Merritt Academy, we have embraced our responsibility to teach character to the next generation. Our comprehensive character curriculum provides a challenging plan to grow strong, quality character in our students. These skills are taught, reinforced and role-modeled by classroom teachers, assistants and all other staff. The goal is to teach children to treat each other with respect, kindness, and tolerance, to develop self-regulation skills, and to be able to problem-solve without escalation to violence. This curriculum nicely supports the Merritt Academy Code of Courtesy and the character traits which are taught each month on a rotating basis. An important application of Merritt’s Character Education Curriculum is the schools renowned Intergenerational program. All Merritt Academy students, infants – 8th graders, participate in the school’s Intergenerational Programs. Our Project Pals Program is designed for children of different age groups to develop meaningful friendships. Every classroom is paired with another classroom of younger or older students to meet at least once a month and collaborate on academic projects. Students discover a deeper dimension to learning based on the interactions and ideas of their Project Pal. With our neighbors at Sunrise Senior Living and the Virginian Retirement community, our Elementary school students participate in the Seniors and Students Together Intergenerational program. Students enjoy sharing classroom lessons and discussing diverse concepts and ideas with seniors. We recognize that parents are the subject matter experts on their children and we value their input and participation in the educational process. Each day is different as so much exciting learning is going on in some many different ways. 11:30 PM Lunch – Followed by a half hour of recess time outdoors. Merritt Academy provides a full service cafeteria and menu meeting appropriate nutritional guidelines. School day begins with a continental breakfast snack at 6:30 a.m. for before-school care students. A hot lunch at midday and snacks are offered as part of your child’s tuition. Our early childhood students dine family-style in the classroom while K-8 children sit with classmates in our cafeteria. Your child will enjoy seasonal traditions including cookouts on the grill, Friday soup du jour, and special holiday meals.